For easy and efficient defrosting, cooking and reheating of popular menus, use Sharp's pre-programmed Auto Menus. 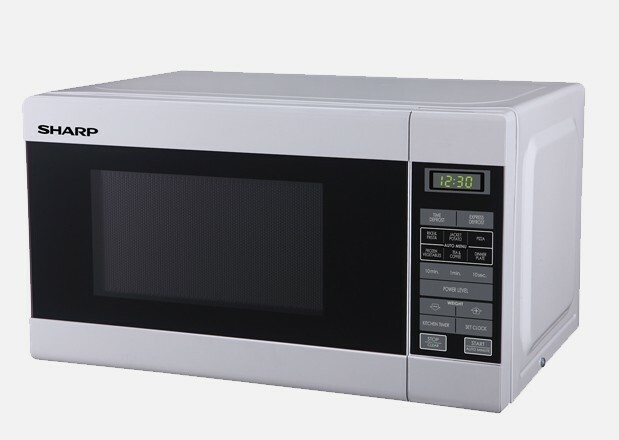 6 Auto Menus have been included in this microwave for your convenience. The locally developed menus on this microwave are fantastic for everyday defrosting, reheating and cooking of popular dishes. The R210DW microwave is pre-programmed with 6 Auto Menus including 2 Auto Reheat menus, 4 Auto Cook menus, a Time Defrost menu and an Express Defrost menu.